• IC-910 Multi-Send Unit – RARE!!! This radio has not been used in the last 4 years due to my interests shifting elsewhere, so it’s time to say farewell and let somebody else enjoy using it. In fact, this radio has NEVER been used for WSPR or any other activity that involves the radio running unattended for loooong hours. The rubberised LCD to PCB connector strips have been cleaned. 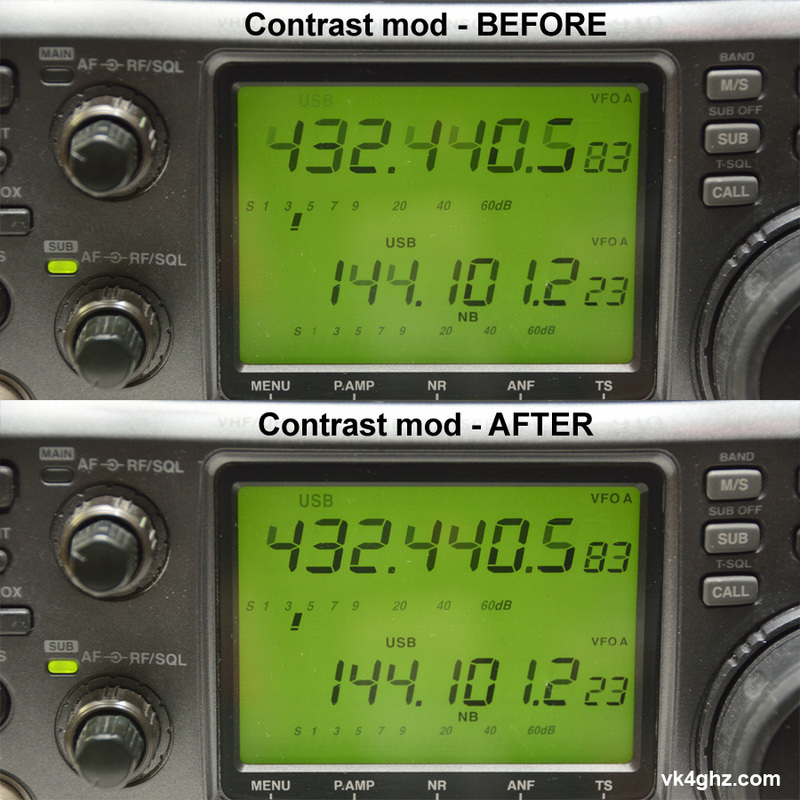 The “two-resistor contrast modification” has been performed, so the available contrast has been optimised. * Do not buy a second hand IC-910 that has accumulated long running hours, as the LCD will have limited life left, and the radio’s useability will be substantially compromised. * Be aware of high photo angles by unscrupulous sellers – my video was recorded at normal operating height. Pre-purchase inspection welcome – SW Brisbane suburbs. Prefer local pickup, but shipping can be arranged at your expense. Non smoker, so there is no disgusting smell of cigarette smoke! Please PM me via Facebook if interested in purchasing.